We will send you via email. 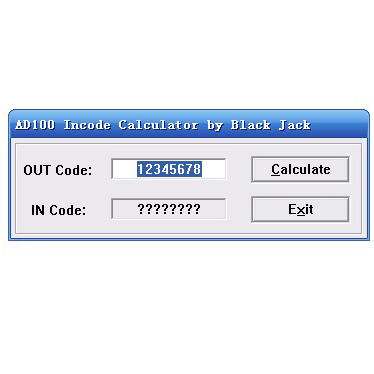 AD100/T300/SBB/MVP Incode Outcode Calculator is used to calculate incode/outcode for Honda, Acura, Toyota, Lexus, Jaguar. It works together with AD100, T300, MVP and SBB. This calculator works with AD100, T300, SBB, MVP to calculator incode/outcode for Honda, Acura, Toyota, Lexus, Jaguar. 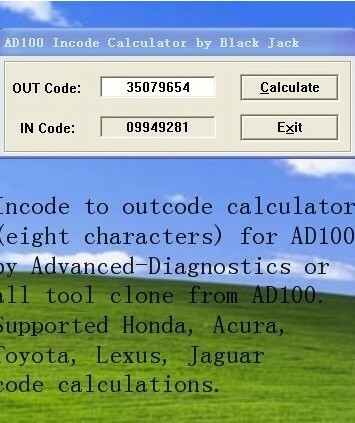 No need to get pin code when you program keys for those car models, make your key programming work more easier and faster.